"SINCE 2010, WORLD'S BEST JAZZ FINGERPICKING TECHNIQUE"
Born in Naples Italy Gio Guido began playing guitar at the age of eight. In July 1991, he graduated from the Guildhall School of Music and Drama in London. In 1992, he traveled to Los Angeles and while attending the Guitar Institute in Hollywood he formed a jazz-funk trio. In Los Angeles he met Wayne Henderson (Jr) who later introduced him to his internationally famous father, Wayne Henderson (Senior), leader of the Jazz Crusaders. Gio went on to record with Wayne Henderson on his album "Sketches of Life" by Wayne Henderson and the Next Crusade. From June 1994 to November 1998, Gio became a permanent band member of the Jazz Crusaders, touring with the band in Europe, USA, Japan and China. Some of the performances include: North Sea Jazz Festival, Jazz a Vienne, Umbria Jazz, Pori Jazz Festival, Nice Jazz Festival Montreux Jazz Festival, St. Lucie Jazz Festival, Parnu Jazz Festival, and the Brecon Jazz Festival. In 1998, Gio Guido played lead guitar in the album "Break'n da Rulz" by the Jazz Crusaders. He has been featured in Live concerts alongside other well known jazz artists including Patty Austin, Ronnie Laws, Bobby Lyle, Jon Lucien, Bobby Caldwell, Alphonso Johnson, John Beasley, Angela Bofill, Tony St. James, Bill Steinway, Nate Philips, Rob Mullins, Wilton Felder, Linley Marthe, Mario Canonge, Francis Lassus. On June 10, 2000, Gio Guido was Awarded by unanimous vote FIRST PRIZE for best soloist at the International Contest of Jazz Soloists in Monaco (FR). In June 2001, Gio made a guest appearance as part of the Jury (i.e. panel of judges) at the International Contest of Jazz Soloists in Monaco. In February 2001, Gio Guido moved to Paris and worked on music projects playing live with pianist Mario Canonge, Joe Zawinul’s Syndicate bassist Linley Marthe, Francis Lassus and Benjamin Henocq. From February 11 to 17, 2002, along with Linley Marthe and Loîc Pontié, he led the musical workshops and master-classes at the Festival de Guitare in Nerac (France). He also performed live at that contest with Linley Marthe and Loîc Pontié. He continues to be invited to perform / record on albums of other internationally known jazz artists. For instance he recorded on the album by Victoria Rummler entitled “Twinkle”. (www.myspace.com/victoriarummler). He also recorded with Marcello Testa in Testa’s album “An Ordinary Week” (www.myspace.com/marcellotesta). Two of Gio Guido’s compositions: Dig it and Waltzing Serenade were recorded and released in 2002 in the album by Walter Calloni entitled “Collections” (www.myspace.com/waltercalloni). In 2006, Gio went to Tokyo and played live with Taro Koyama, Oinuma Kunio, Shinitchi Sato, Tomohiro Yahiro, Yasuda Koji, Yasumasa Kumagai, Hiroshi Kagawa, Ken'ichiro Shinzawa, Eiji Otogawa, Kido Natsuki, live in duo, trio, quartet and guitar solo in jazz clubs, hotels and live houses of the city. He directed a guitar clinic and Master Class organized by AIR SOUND STUDIO in Tokyo. From June 2007 to December 2007, Gio Guido performed on the cruise ship Navigator of the Seas where he entertained audiences from allover the world performing guitar solo. In May 2008 Gio moves to New York City and in February 2010 he records his first solo album "Guitar Master",a jazz guitar masterpiece. In July 2010 Gio meets bass player David Williams and on December 1st 2010 he records his second album with David Williams on double bass, Lewis Nash on drums and Vincent Herring on sax. "Land Of Cargessol" Reviewed by RadioIndy.com! 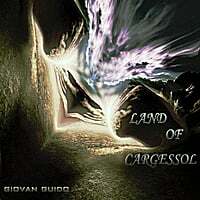 Giovan Guido will amaze you with his latest Jazz instrumental CD, “Land of Cargessol.” Guido, who is an extremely talented guitarist, crafts an album that has a marvelous mix of Jazz beautifully blended with the styles of Latin, Flamenco, and Funk. The song, “Au Pays de Cargessol,” moves with a silky form and smooth grooves. “Dig It,” is another excellent song that generates that true Jazz ambiance as the drums and bass complements the impressive guitar playing by Guido. Another engaging song, “Funjazlamenco,” is just what the song title suggests: Jazz and Flamenco styles fused together to a fun and vibrant rhythm. Guido guitar talents are quite stunning and another song you can hear his talent on is, “Moncha” as he plays with a fiery passion. If you are a fan of modern Jazz music, then you will find the magnificent album, “Land of Cargessol” would be a superb addition to your Jazz collection. by Anthony Robustelli and Aaron Spencer. Jazz guitar innovator Giovan Guido records his 2nd album "Land Of Cargessol", with some of the world's best jazz musicians: Lewis Nash on drums, David Williams on bass and Vincent Herring on sax. Beautiful melodies, outstanding rhythm section and passionate virtuoso guitar playing.